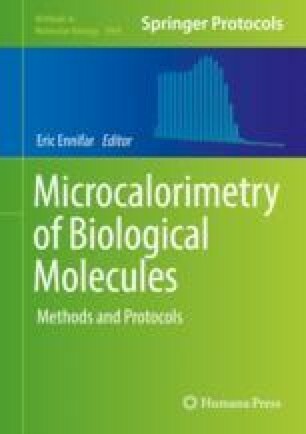 Standard molecular binding isothermal titration calorimetric (ITC) experiments are designed to get thermodynamic information: changes in Gibbs energy, enthalpy, and entropy associated to the studied process. Traditionally, the kinetic information contained in the ITC raw signal has been ignored. For a usual one-step process, this corresponds to the rate constants for the association and the dissociation of the complex (kon and koff). The availability of highly sensitive ITC instruments with low response time, together with the development of theoretical methods and of public software for the proper analysis of the signal, cancels any reason for not retrieving this kinetic information. Here we describe how to further exploit ITC experiments of simple one-step interactions by using the software AFFINImeter. The method is exemplified using a standard reference system for thermodynamic and kinetic molecular binding analysis: the interaction of carbonic anhydrase (CA) with its inhibitor 4-carboxybenzenesulfonamide (4-CBS) at several temperatures. It is to be emphasized that old experiments initially designed and executed just for thermodynamic analysis can be readily recycled by using AFFINImeter to retrieve the previously ignored kinetic information. Á. P. thanks the financial support of the Spanish Ministry of Economy and Competitiveness (Project MAT2015-71826-P) and Xunta de Galicia (AGRUP2015/11).